It’s been a hot minute since I did a Thursday Things post…but I’m back with a few things to share today! Reminder- not sponsored…and most is stuff I haven’t tried yet but have come across on the interwebs. 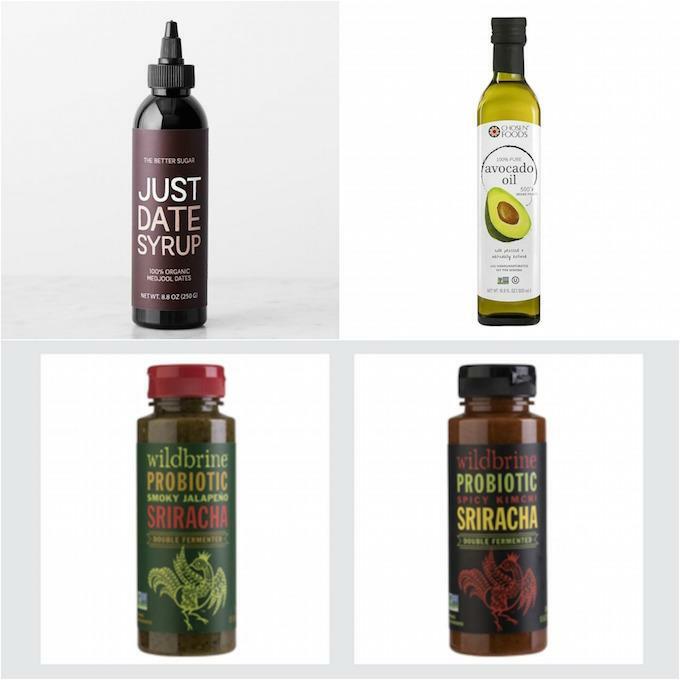 Wild Brine Spicy Kimchi Sriracha – I’m trying really hard to find some probiotic-filled foods that I like the taste of. Totally intrigued by this sriracha…and they also make a salsa that caught my eye! Just Date Syrup – I don’t love their tagline “the better sugar” because I don’t necessarily think that’s true. But I do think it’d be a fun sweetener to try adding to things like pancakes, oatmeal etc. Made with just one ingredient- dates! Chosen Foods Avocado Oil – This is starting to gain popularity, mostly for its heart-health benefits and mild flavor. I’m ready to give it a whirl! Spot It! Splash (aff link) – My friend Lindsay mentioned this on Instagram and said her son loves it. I’m always looking for new games to play with Squish. Zingo! (aff link) – This is another game I saw someone playing with their older toddler on Instagram. Road Tape (aff link) – We bought Squish some of this for Christmas and got it out a couple weeks ago. It sticks easily to the carpet and was easy to remove. 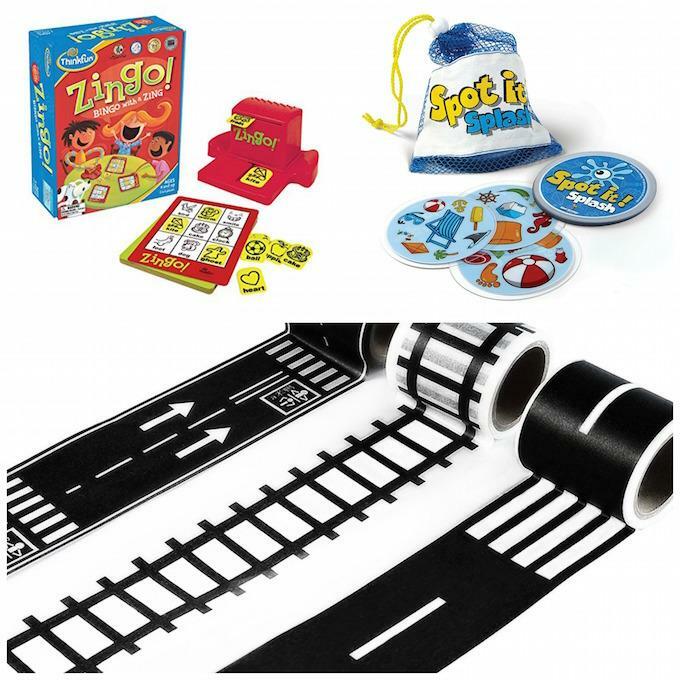 Lots of fun for driving cars and trains. Blanquil Weighted Blanket – A weighted blanket that’s supposed to help your nervous system relax by stimulating being held. Mighty Patch Acne Dots (aff link) – I saw my friend Kylie talking about these. I’m prone to the occasional super large, super painful pimple that seems to never go away so I’m def trying these. Think Dirty App– An app that lets you scan products you buy to learn more about the safety of the ingredients. That’s for this week! Oh, and side note – you can now see all the past products featured in Thursday Things here. 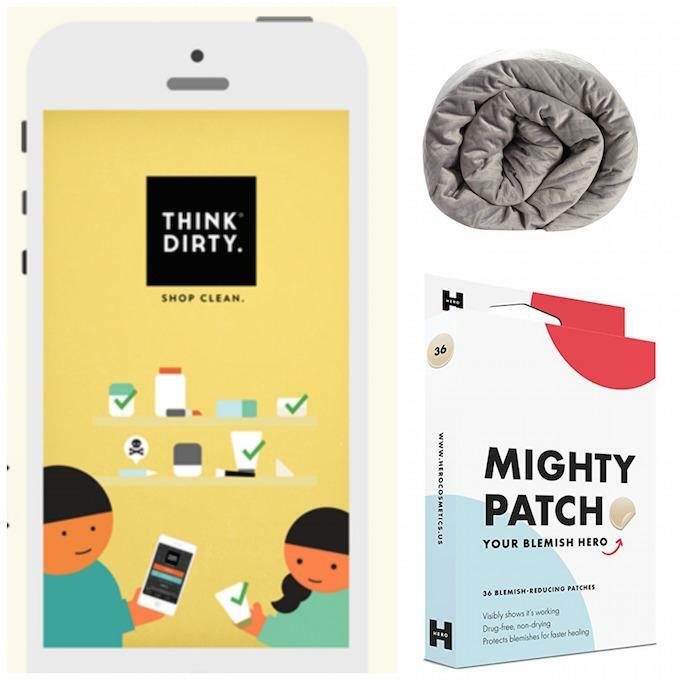 I wish the Think Dirty App was quicker to add new products, but it’s a great reference point! I haven’t tried it yet but am looking forward to checking them out! That probiotic sriracha will be PERFECT for all my tacos! I had no idea those existed, and here I’m taking pills only! We are OBSESSED with that Sriracha!!! It was an impulse buy at Whole Foods- but so good. My husband and I have been getting the avocado oil from Costco for probably the last year and we love it! Spot It – not just a kids game 😉 Can get very competitive among adults, great for a party! The avocado oil is soooo good! I use it to cook with (high heat tolerance too, btw) and I’ve used it a few times on salads too. I literally just drizzled the oil on, then sprinkled with a little garlic salt and I was happy! I get mine from Costco, but I’ve seen it at Walmart too. You should definitely give it a try! Never tried sriracha so I’d be anxious to give that a go, and I can imagine the ‘Think Dirty’ app coming in very handy!